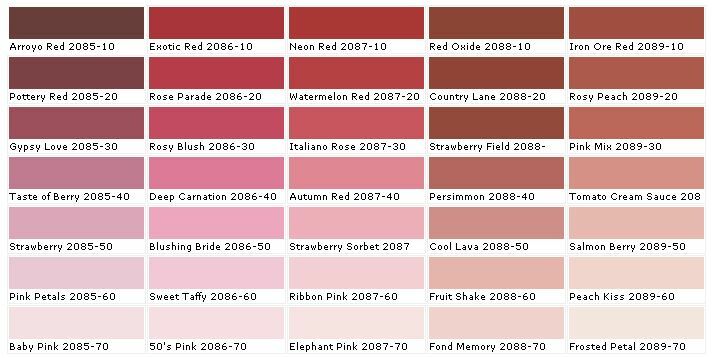 Valentine’s Day is coming near, and ‘tis the season to see red, pink and white wherever you turn. Yes, it can be too much when your local gift store has overdone it. But it can be fun to decorate at home with red and pink, whether it’s a temporary use of the colors in honor of the holiday or a color scheme you enjoy year-round. Personally, I love pops of red. The main living space in my home has accent colors of claret—mostly in an area rug, comfy throw and accent pillows. Red can warm up a space and add visual interest. However, you want to be careful when incorporating intense hues, especially reds. You don’t want to go overboard and end up with a space that feels intense or angry; you want reds that add positively to the vibe of a space. Depending on the tone and hue of the red you like, that might translate into an atmosphere that is energetic and has pizzazz, feels luxurious and elegant or seems rustic and comfortable. Since Hirshfield’s has paint in thousands of colors—more than 5,000 possibilities—you can acquire a paint sample to take home and try out before you commit to a color. Pink is another choice that can add a fun punch of color to your home when done right. 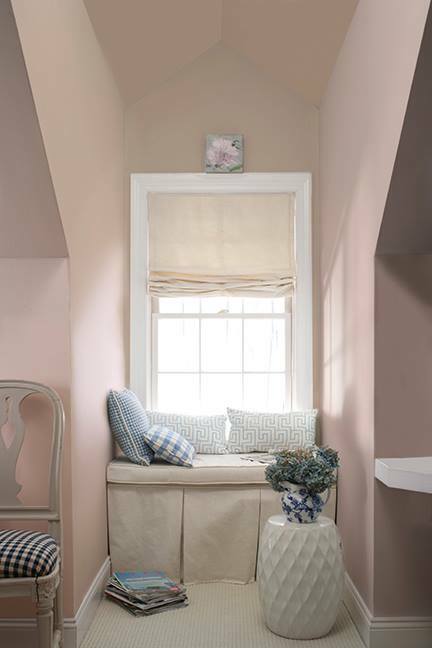 For light pinks, Benjamin Moore’s “Raleigh Peach” gives off a vibe of light, comfort and sweetness. Bright, hot pinks and fuchsias can make a bold statement if used in a small space in the right way. And if your daughter loves pink, why not incorporate her favorite color into the space that’s just for her? The great thing about color is that you get to choose what you like, what speaks to you, your favorites. If you need interior paint tips, feel free to stop by your local Hirshfield’s for insight and advice. Your home is your personal, special space, your retreat from the world, a place to recuperate and rejuvenate. So make it a place that you love. After all, it is that season.